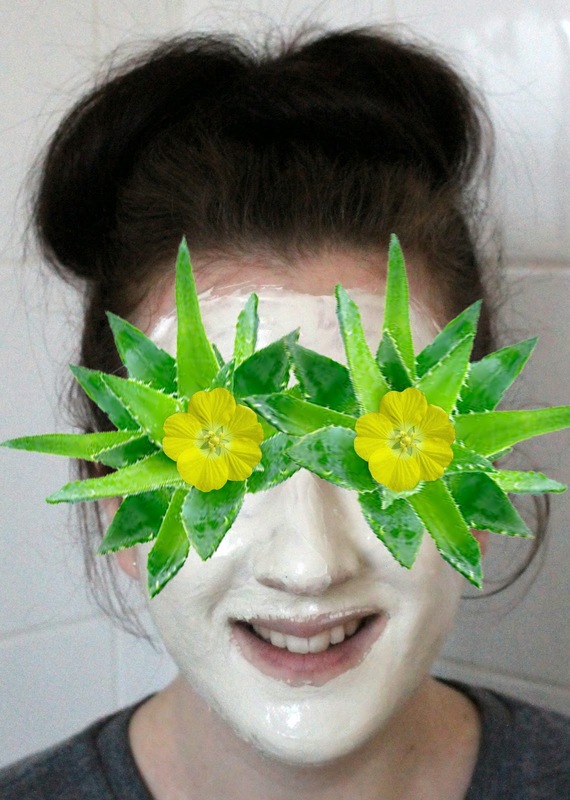 Face masks have long been part of my 'pamper night' ritual and I've used Montagne Jeunesse sachets for as long as I can remember. Not only are they really affordable but you don't have to invest in a massive tube to find out if you like it and whether it's suited to your skin type. I've often given them as gifts to, which are always well-received. Based in Baglan Energy Park in South Wales, MJ is sold in over 82 countries. The business is built around a range of natural beauty products, with face masks being their main product, along with foot, bath, hair and body products in single-use sachets. MJ was established in 1985 by vegetarian Greg Butcher, with the aim to create products which make a minimum impact on all forms of life, at every stage. They now manufacture toiletry products that are completely vegetarian and are approved by the Vegetarian Society and the British Union for the Abolition of Vivisection (BUAV, an animal protection and advocacy group that campaigns for the abolition of all animal experiments). "Since the inception of the company, the management philosophy has always been one of protecting the environment and the company ethos is the ‘Conservation of Energy, Protection of Animals and the Environment’ is adopted by all. Montagne Jeunesse aims to become 100% renewable energy self-sufficient and currently holds ISO14001 EMS accreditation and this ensures that all employees consider the impact of everything they do to ensure the environmental impact is minimised wherever it is technically feasible, and demonstrates the company philosophy beyond any doubt. For example, all paper used in the office is shredded and used for protecting the fragile goods in transit." Montagne Jeunesse launched their ‘Save The Seal’ campaign in 1989 and one year later began an 'Antarctica Appeal'. Along the way the 'Eco Factory' gets launched and in 2001 they introduced 'Windy' the wind turbine to MJ to help reduce their carbon footprint. In 2001 "We’re walking the walk when it comes to the environment – we achieve our first ISO - 14001 followed by ISO 18001 in 2004. That basically means we’re doing lots of good stuff!" MJ moved into 'The Green Barn' in 2005, their new super energy efficient HQ. 2009 saw a 5 year Site Management Plan for the Green Barn introduced, where their Green Team ‘ Green Guardians’ encourage biodiversity within their grounds and do good stuff like plant kidney vetch to help nurture rare Small Blue butterflies. I love mixing and matching when it comes to my face masks. Sometimes because I can't decide and want to try something new, but mostly because I have combination skin and my skin needs different treatments at different times. This is the beauty of being able to buy sachets, you can do just that without breaking the bank. They normally retail at around £1 per sachet and I can easily squeeze out 2 applications. My absolute favourites are the self-heating mask, they just feel so comforting and feel that they're really doing some magic to those pesky clogged pores. I usually alternate between these and a peel-off mask as the peel off ones get right in there for a deep cleanse and, I find, are a lot kinder to your skin than pore strips. I also try and use a mud mask and a cloth mask from time to time too, to try something different but to also use what my skin is craving the most. If I'm honest, I've tried a lot and I've always had great results. 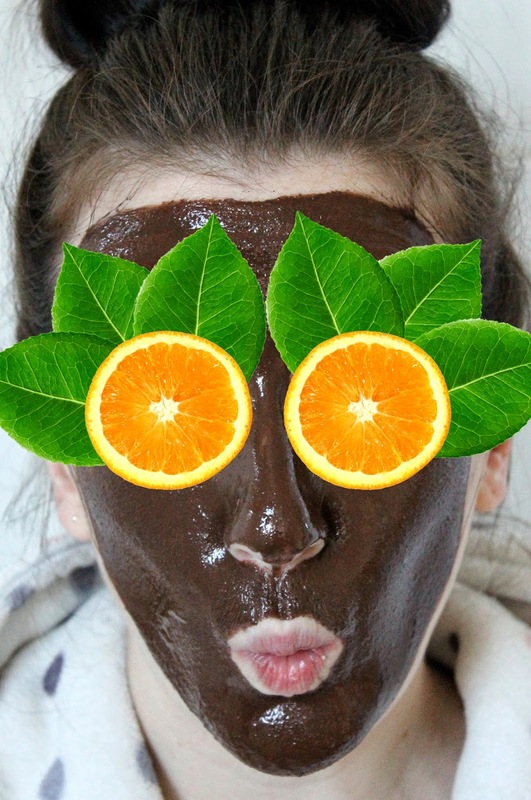 So, In Montagne Jeunesse style, here is the self-heating chocolate Orange mask in use....I can't tell you how good this smells! My skin always feels super clean and lovely and soft after using this. My skin has been breaking out a lot lately so I recently tried the Aloe Vera Blemish Mud for the first time. I really felt like it calmed my skin down. It smelt really subtle, but fresh, and was really gentle on my skin, leaving it feeling super soft. The only thing that there doesn't seem to be a mention of on MJ's website is the packaging and whether the sachets materials are recycled or can be recycled. None the less, it's clear to see that Montagne Jeunesse are passionate about the planet are are visibly making efforts to be a sustainable company and are, quite rightly, proud to do so. I can't see a reason for me not to continue to use their products, and if anything, I'm more encouraged to do so now than ever. I've made my first copper inspired DIY! 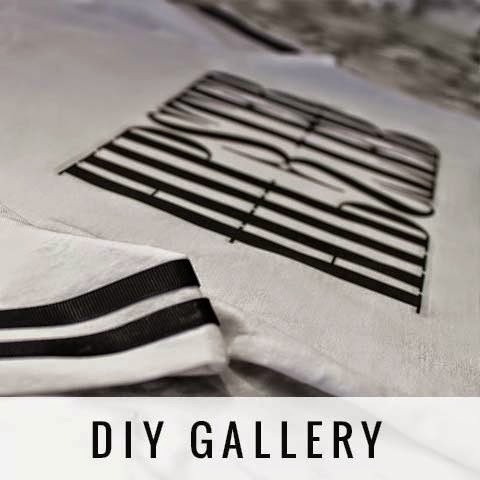 After I published this post, I've been getting ideas for a few DIY's, mainly for the home but I when I spotted copper pipes in my local B&Q, I knew I could make something wearable from it. This isn't going to be a step-by-step DIY as it's really easy and doesn't really warrant a load of steps for you to follow. Also, I hope it will provide you with a little inspiration to come up with your own version. Because the rope I used was only a couple of millimetres narrower than the pipe itself, it was quite hard to slide through easily, so I used a bit of ribbon to help pull it through more easily. Once the rope was all the way the way through, I fixed on the end caps with hot glue. To make a fastening, 2 holes were drilled in the end caps and a copper jump ring was opened and fixed in place to form a loop. I did this for both ends then simply attached a lobster clasp fastening. Sadly I didn't have any copper ones so it stands out a little, but will do until I can replace it. Using, what is essentially a plumbing pipe, can create a really versatile look. You could easily change up the look by painting a design onto the metal or by wrapping thread round it. You could also dye the rope in a dip-dye effect, sew into it or wrap other threads around it too. You could even flatten the pipe down using a hammer or slide on copper rings, washer or hex nuts perhaps? !